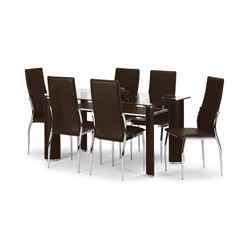 The Stylish Brown and Glass Table and Faux Leather Chairs are a chic and stylish feature for any home. 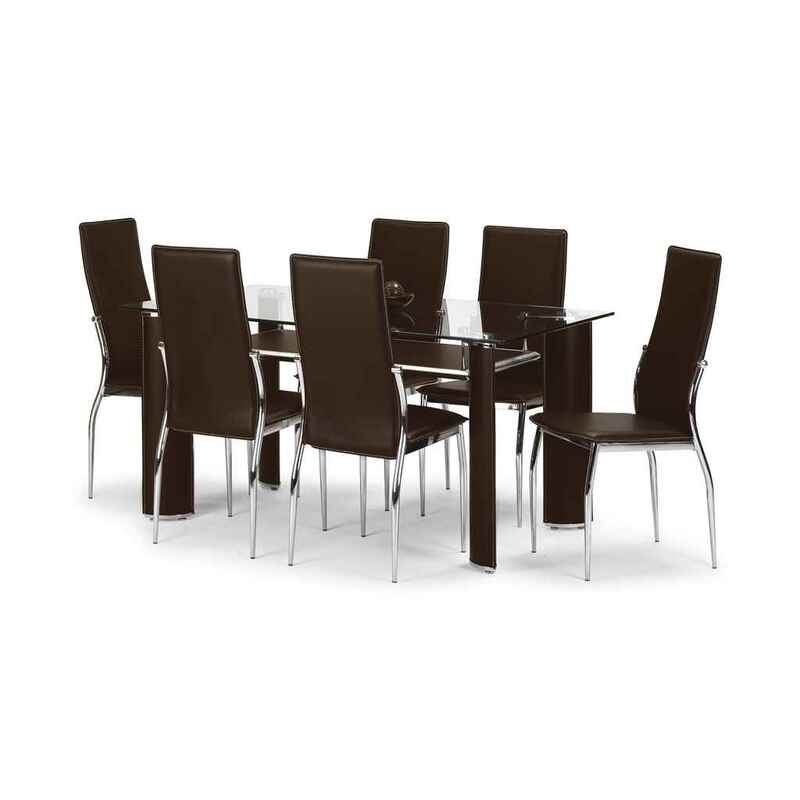 The glass table top is easy to clean and maintain and the upholstered under shelf is both practical and aesthetic. 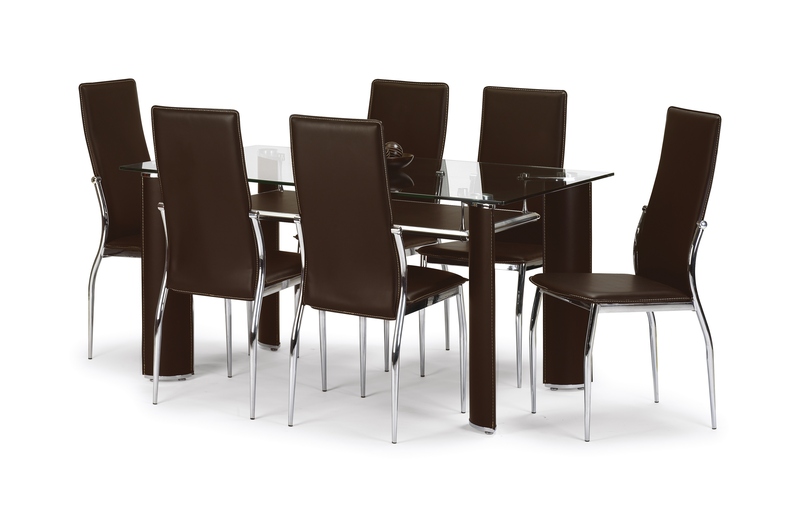 The faux leather chairs are a must have accessory to complete this modern dining set.